If you’re looking for a tablet deal, here’s one for you! 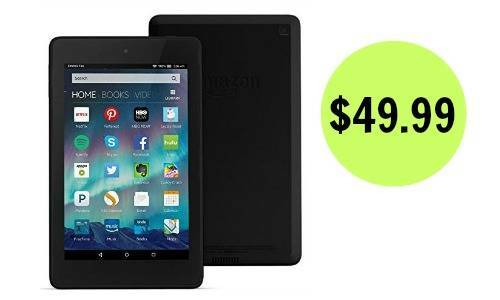 Right now Amazon is offering the Fire HD 6″ tablet for $69.99 (regularly $99.99)! Plus, when you use code FIREHD6 at checkout, you’ll get an additional $20 off. This makes the tablet $49.99 shipped! The Amazon Fire tablet includes 8GB of storage, Wi-Fi options, a camera, and more. This offer is valid for a limited time. Prices on Amazon may change at any time.